Does Your four legged best friend need a little help with his hind legs or arthritis? Our Rehab Dog Lift Harness is specifically designed to help aid tired or injured and elderly dogs that might have some issues and or difficulty getting into the car, jumping to get a treat, climbing stairs or maybe even walking around the dog park and house. We have the solution, as soon as you put on the harness around your dog, his torso will be instantly supported and gain instant strength, stability and most importantly confidence. You will have a very happy puppy. Rolls up for easy storage after use in just seconds. Durable poly and nylon with fleece lining. NOTE: Some dogs over 100 will fit in the harness if they do not have a super wide frame. NOTE: Some dogs that weight less than 75 lbs will require the X-Larger size due to they thicker / heavier mid section. If you feel like your dog is thicker than most, we recommend the X-Large size. 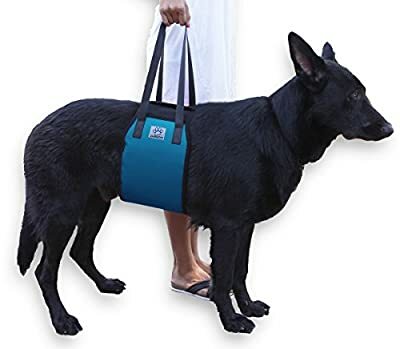 No MORE need to struggle with trying to lift your dog, help is here! Insert Card & Directions Included. Recommended for canines with girth measuring between 28 - 33 inches. Recommended for dogs who weight more than 75 pounds. Support pad is 37.5 inches long X 9.5 inches wide. IMPORTANT: Please make sure you measure your Dog to ensure correct fitting & ordering the wrong SIZE. Check our Measuring Chart in images for more details. 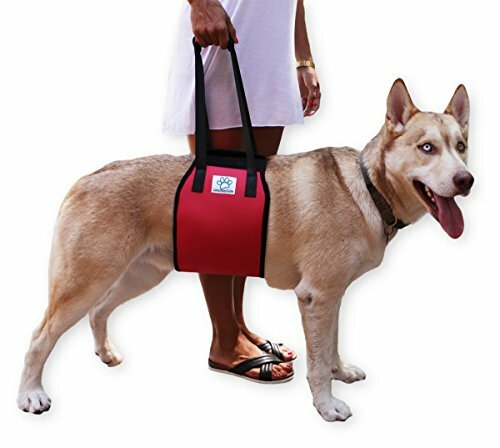 Specifically designed for Larger breed dogs. Lift and Support pad surface is about 10 inches wide. 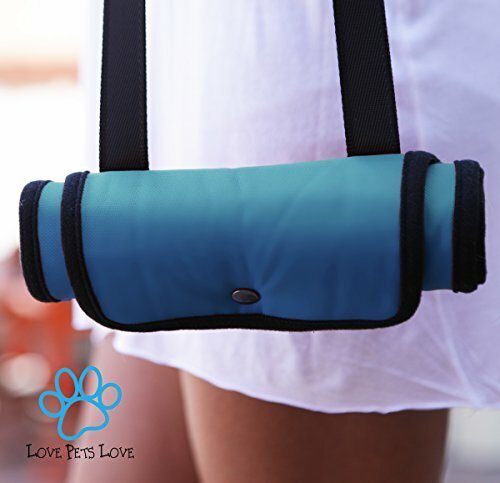 Straps have a soft and strong velcro to allow for a stronger handle, just take a few seconds to put on your doggie. You can apply the pad to the chest or near the hips and back legs. Help your older senior dog walk and climb if suffering from arthritis, degenerative myelopathy or other debilitating ailments. 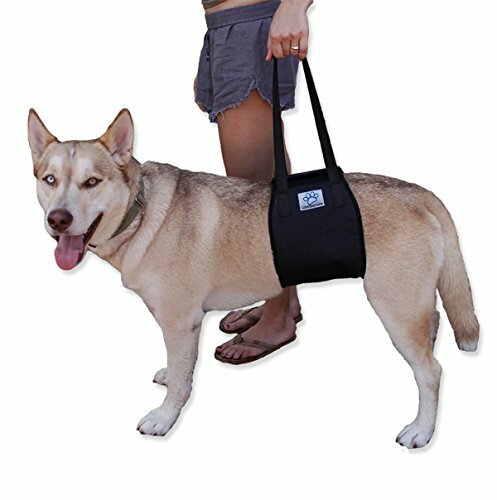 Best solution for dogs recovering from hip, leg or back injuries. Ideal assist sling for dogs rehabilitation after orthopedic surgeries. Durable poly and nylon with fleece lining. Measures approximately 37.5 inch long by 9.5 inch wide. Each lifting strap measures approximately 14 inch long by 1 inch wide. Rolls up for easy storage after use in just seconds.